Maruti Suzuki India Limited (MSIL), the country's largest passenger car maker, is on cloud nine with the impressive success and sales of its latest entry level offering- Alto 800 hatchback in the domestic market. At present, the Alto 800 small car is posing stiff competition against other segment contenders like Hyundai Eon and Chevrolet Spark in the country. The entry level model has totally dominated the entire Indian entry level hatchback scene and has lately become the new top selling product for Maruti Suzuki on Indian turf. Accordingly, Hyundai Motor India Limited (HMIL), the country's second largest passenger car manufacturer, is aggressively working towards countering Alto 800's demand and popularity among domestic audience with its Eon model. In terms of overall styling and design language, the Maruti Suzuki Alto 800 small car has earned some rave reviews from both industry critics and media alike. The model flaunts coming-of-age nature of the brand and is cited as one of the company's cutest offering till date. However, experts believe that Hyundai Eon looks like a more complete model and its strongest suit being the ultra modish fluidic design character, which the South Korean auto major has smartly imbibed in the hatchback. Coming to under-the-hood specifications of Maruti Suzuki Alto 800, the entry level compact hatch comes assimilated with a 0.8 litre, 796 cc, 3-cylinder F8D petrol engine that produces a peak power output of 47 bhp, along with a maximum torque delivery of 69 Nm. The company has retuned its 0.8 litre F8D power-mill, which entails the car to deliver an impressive fuel economy of 22.7 kmpl. The Maruti Suzuki's latest volume puller is also offered with factory fitted CNG kits, inline with the popular demand for dual fuel cars among the domestic car enthusiasts. Maruti Suzuki Alto 800 or Hyundai Eon, Indians confused. On the other hand, Hyundai Eon compact model is powered with a 814 cc, 3-cylinder, SOHC 9-Valve petrol motor, that pumps out a peak power and torque output equations of 56 bhp and 76 Nm, respectively. The fuel efficiency of Hyundai Eon is only marginally lower than Maruti Suzuki's Alto 800 and stands at 21 kmpl. The stylish Eon is also offered in dual fuel petrol-CNG options in the domestic passenger car market. Evidently, in terms of engine power and torque ratings, Eon definitely has an edge over Alto 800, which could lure performance oriented away from Maruti Suzuki retail stores and invest in the Hyundai product, instead. Further, Maruti Suzuki offers its entry level model to Indian car enthusiasts in three options- Alto 800, Alto 800 LX and Alto 800 LXi. The top model LXi comes trimmed with an Air Conditioning (AC) system, airbag, power windows and power steering and comes with a retail value close to Rs. 3.1 lakh in the country. The mid-level trim Alto 800 LX comes with AC but without power steering, whereas the base model lacks both attributes. Comparatively speaking, the mid-level model of Hyundai Eon (Era Plus) has power windows, steering and an AC system, all of which at a pricing of Rs. 3.2 lakhs. 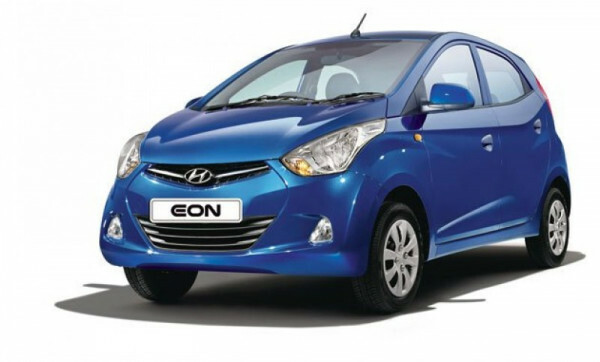 At present, Hyundai India offers its Eon fleet within a price bracket of Rs. 2.8 to Rs. 3.8 lakhs in the country. Maruti Suzuki has pitched its Alto 800 models with a slightly humble pricing falling in the range starting from Rs. 2.4 lakhs that goes on till Rs. 3.6 lakhs in the Indian auto market. The competition is going on full swing at the moment between the models, which have left domestic consumers in a fix, as in which brand should they opt for.